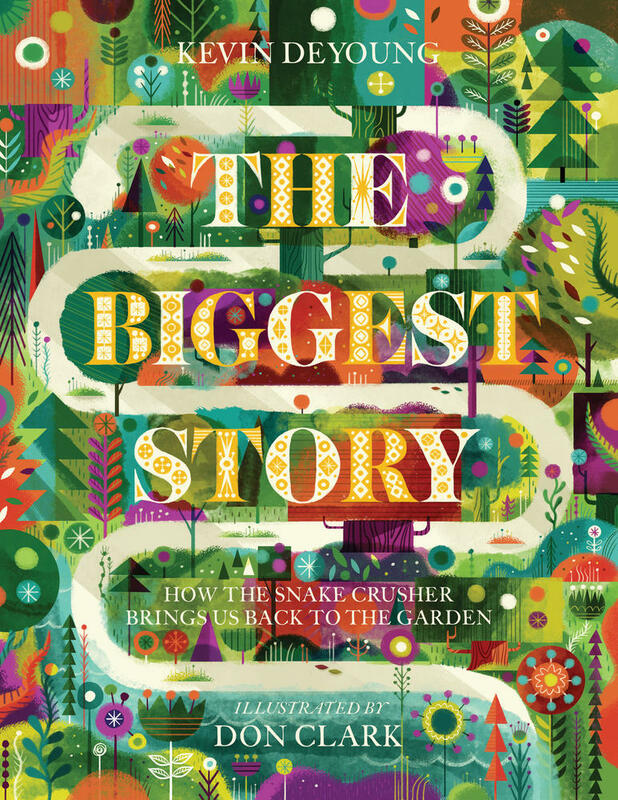 This is an interview with Jorge Canedo Estrada, director of animation for The Biggest Story: The Animated Short Film, based on Kevin DeYoung's book The Biggest Story: How the Snake Crusher Brings Us Back to the Garden. How did you first get connected with this project? I had previously worked with Crossway on some little animations for a project; a designer I had worked with before created some illustrations and they needed someone to animate them. That marked the beginning of a great relationship with Crossway. When Josh Dennis sent me an email with the rough sketches for The Biggest Story and asked what I thought about animating it all, I loved it so much I was dangerously close to quitting my full-time job and dedicating the next months to making the book come alive. My wife is the one who brings me back to reason, and she convinced me it wasn’t the best time to do this, especially since we’d just had our first child. But I had to find a way to still make this work and still be able to work on it, so I decided I was going to reach out to animators and tackle this thing as a team. How many animators were involved in bringing the film together? At first, we weren’t many. But quite soon I realized we were going to need a lot of help. By the end of it, forty animators had touched the project, sometimes animating simply one of the 144 shots, and sometimes up to ten of them. How did you approach adapting an illustrated book into an animated film? This was one of the biggest challenges, since the illustrations were never intended for video or animation. As a result, one of the things I spent the longest on was breaking down each chapter’s shots, occasionally even modifying the composition a bit, and figuring out how to fill the voice-over with the illustrations we had. So basically we had an “animatic” for each chapter, which, in this case, was simply a rough voice-over with the modified stills from the book, separated by shots. 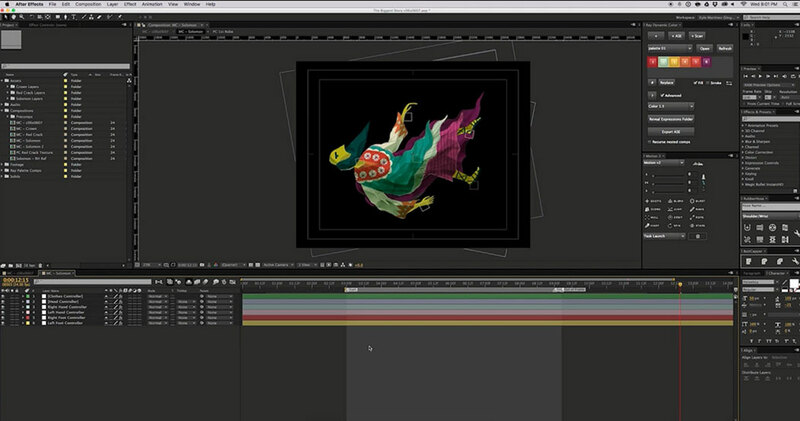 What's the actual process like for turning still illustrations into dynamic animations? Once I had finished an animatic, I would send it to the team and say, “Hey, new shots are ready for the taking!” People would either take one, or I would realize that everyone was too busy with their full-time jobs and would ask if they knew somebody who wanted to help out, and that’s actually how the team grew. From there, each animator would take one of Don’s illustrations, clean it up for animation and then start animating, each with their own style. Many emails would be sent back and forth between me and the animators, as I tried to keep all the animations within the same family. More specifically, we took the photoshop files from Don (often with thousands of layers) and brought them into After Effects to create each animation. 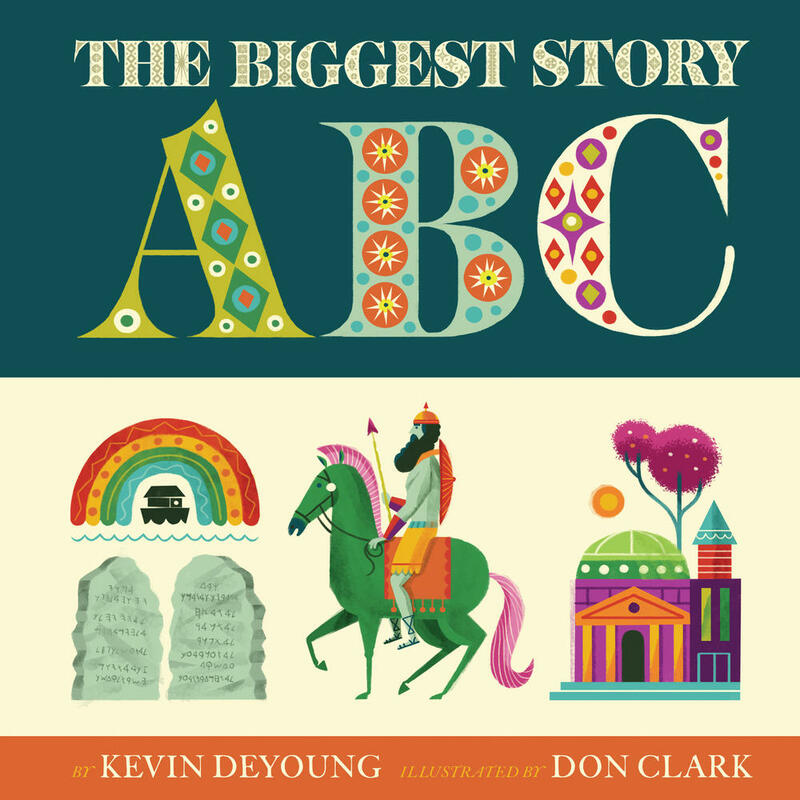 What did your collaboration with Don Clark, the book’s illustrator, look like? How involved was he in the direction you took with the animations? Don was amazing and mostly let us do our thing. We would send him some of an animation and ask his opinion on a few specific things, but for the most part, he handed us his art and let us fly, which was incredibly trusting of him. I know we missed a few things (but we won't say what, so that people don’t look for the mistakes). What was the most challenging thing about animating the film? I would say managing it all. I’m used to work on projects that are no more than two minutes at most, and usually it’s just me with a small team of less than four people. So producing and directing forty people for a twenty-six-minute piece, while still having a full-time day job, was very challenging. I tried to keep everything as organized as possible, with a lot of detailed spreadsheets, and that helped. What was the most surprising thing about working on the film? The amount of talent that was brought together! Some of the animators who worked on this are people I would consider some of the best animators in the motion design and animation industry, and to know that so many of them were excited about this project was amazing to see. It also shone a light on this little community of Christians in the animation world. And it was another awesome surprise to find out that not all the animators were believers, but still all these people from all over the place were working together on this beautiful story. 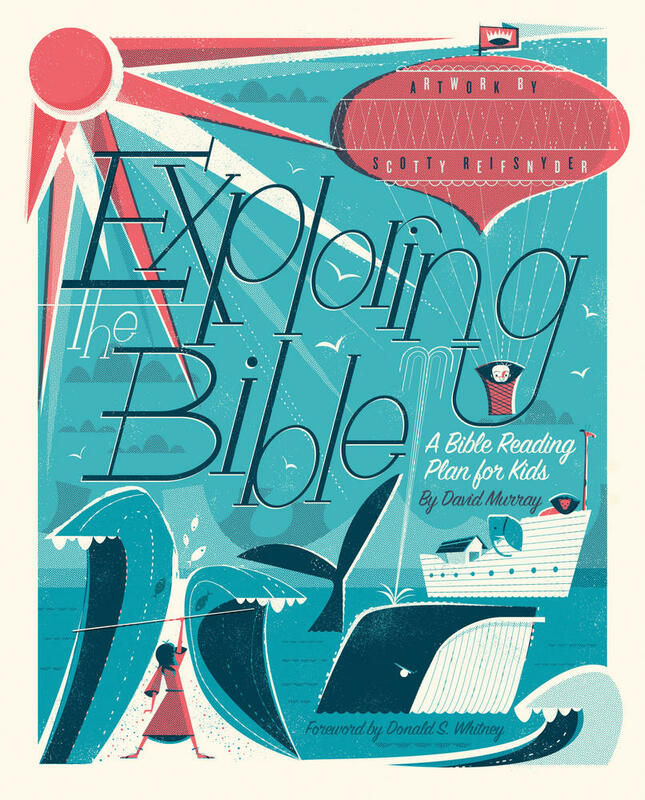 How does your Christian faith influence your approach to your work as an animator? We are so blessed to enjoy God’s grace in our lives and in everything we do. There is a purpose in the things we do—to give God the glory and to enjoy doing it! And that purpose—that reason, that direction—influences everything I do. With God’s help, I aim to make beautiful things, working as unto the Lord, using my gifts and passions for that purpose in all circumstances—whether it is a project that preaches the gospel clearly, like The Biggest Story, or simply a project that has an echo of the truth. Before taking on jobs, I also make a practice of asking questions like, “Does it call the problem anything other than sin, and the Saviour anything other than Jesus?” (to paraphrase Timothy Keller), and that has definitely influenced not only the work I do, but my whole life as well. This faith in God also helps me to find my identity in Christ and not in my work, so my validation doesn’t come from the world. I’m validated by the work of Jesus, which gives me a freedom to create. Of course, it’s difficult to constantly remember this and live by this. As a sinner, I struggle, but I try to set my eyes on this beautiful truth and apply it to every aspect of life, not just animation. What’s your favorite animation in the film? Why? That is an incredibly hard question to answer; I have so many favourites. I have to say that, as a whole, the last two chapters work so well together—the music, the animation moments, Kevin’s tone. The first time I saw those chapters fully finished, I had tears in my eyes. What would you like to see as an outcome of this film? 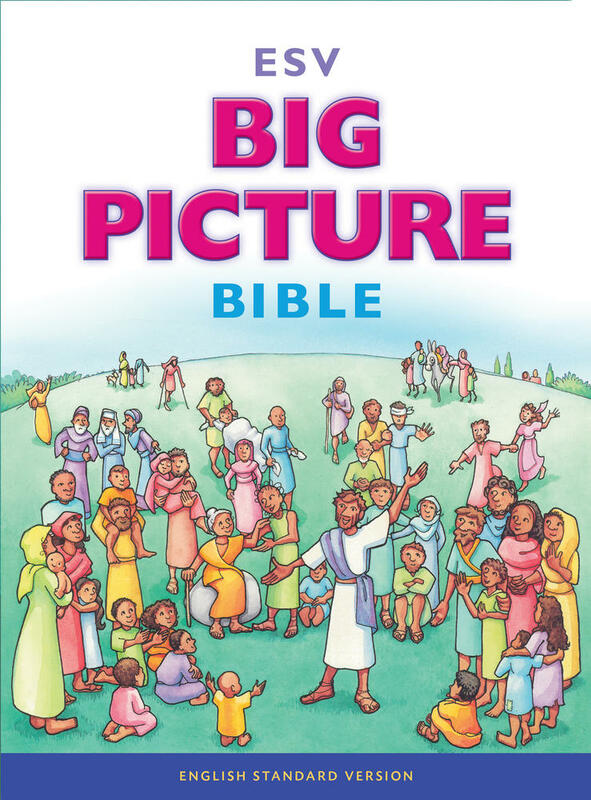 I hope this film draws people to the Bible, both young and old, and that the names of all the people who worked on this project will fade in the background so that the name of Jesus Christ would be exalted.